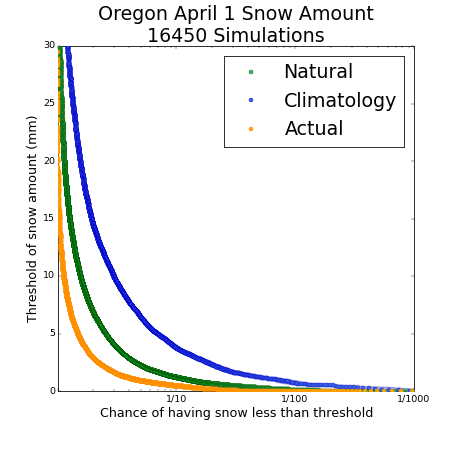 Here are the results for Oregon using the models that have been run and returned to us so far – below are the plots for Precipitation (rainfall + snowfall), Snow Amount and temperature. 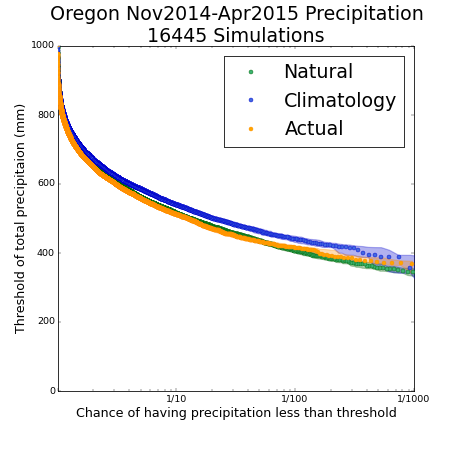 More models are coming in every day – each model that a volunteer runs becomes a dot on the plot! All together, we will be running more than 20,000 models, so check back here soon for updated plots with even more models in them. 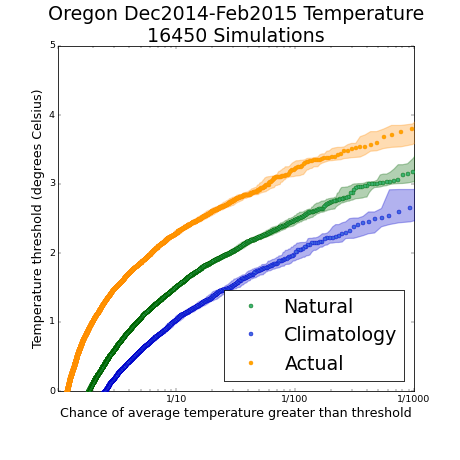 For an explanation of the 3 different sets of models we’re running, read the Experimental Setup page. If you are having trouble viewing the video, view the still image here. Sign up to weather@home now!